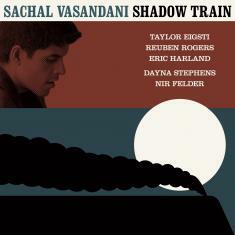 GSI Records is proud to present Shadow Train, the latest release from vocalist Sachal Vasandani. With equal parts virility and empathy, Vasandani provides a unique take on the album's collection of classic standards, which include Abbey Lincoln's "Throw It Away" and Bill Evans' "Very Early." Never stifled by tradition, Eric Harland (drums), Taylor Eigsti (piano), Nir Felder (guitar), Dayna Stephens (sax), and Reuben Rogers (bass), focus their collective energy to highlight the themes of Shadow Train with an open spirit. Vasandani and the ensemble weave romance and nuance throughout the record, simultaneously seducing and enlightening listeners. To be released on September 28th, Shadow Train is a showcase of phenomenal musicianship not to be missed. Sachal Vasandani is recognized for his singular voice with a tone and unique phrasing that mark him as one of the most compelling voices on the scene today. He has previously released four records as a leader, Eyes Wide Open (2007), We Move (2009), Hi-Fi (2011), and Slow Motion Miracles (2015). Vasandani has played around the world in many of the leading jazz venues, both with his own group and performing alongside jazz heavyweights including Wynton Marsalis, Bobby McFerrin, Milton Nascimento, Michael Feinstein, and many others. 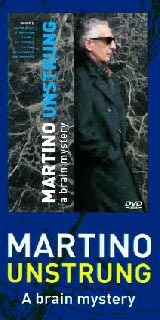 His original writing and singing on Gerald Clayton's Life Forum was nominated for a Grammy in 2013. Vasandani recently returned from several weeks in Asia, with concerts at Jazz at Lincoln Center Shanghai and Blue Note Beijing. He will tour parts of Europe later this fall and has numerous dates in the U.S. throughout the end of the year including two nights at Jazz at Lincoln Center in December.